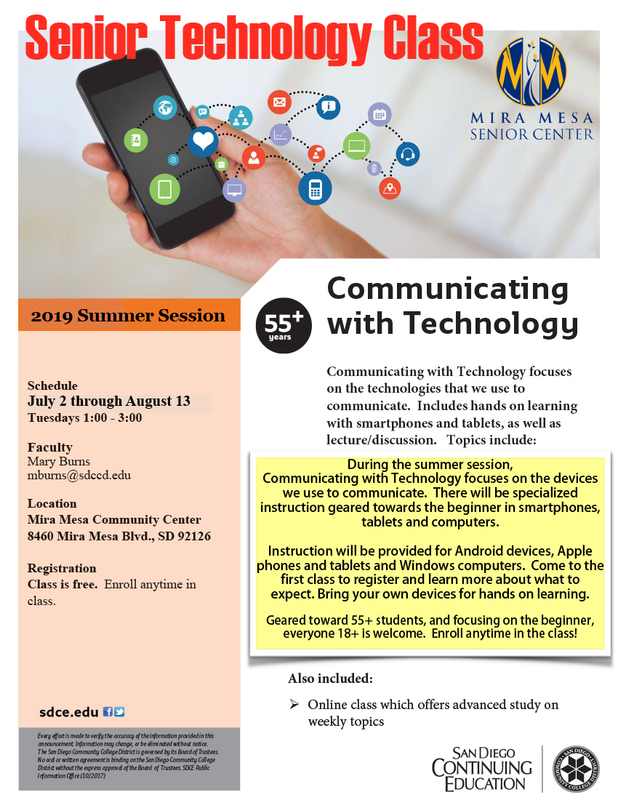 During the summer session, Communicating with Technology focuses on the devices we use to communicate. 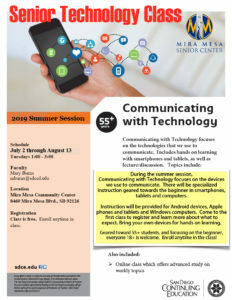 There will be specialized instruction geared towards the beginner in smartphones, tablets and computers. Instruction will be provided for Android devices, Apple phones and tablets and Windows computers. Come to the first class to register and learn more about what to expect. Bring your own devices for hands on learning. Geared toward 55+ students, and focusing on the beginner, everyone 18+ is welcome. Enroll anytime in the class.